Joan Trumpauer Mulholland was a white teenager in the South during Segregation who put herself on the front lines of the Civil Rights struggle. She attended demonstrations and sit-ins and was one of the Freedom Riders in 1961 who was arrested and put on death row for months at the notorious Parchman Penitentiary. She was the first white person to join in the 1963 Woolworth's lunch counter sit-ins in Jackson, Mississippi, and that same year participated in the March on Washington with Dr. Martin Luther King and the Selma to Montgomery march in 1965 which contributed to the passage of the landmark Voting Rights Act that year. Her willingness to stand up for justice has been an inspiration. This is the first biography about her experiences, published simultaneously in picture book and middle grade editions. 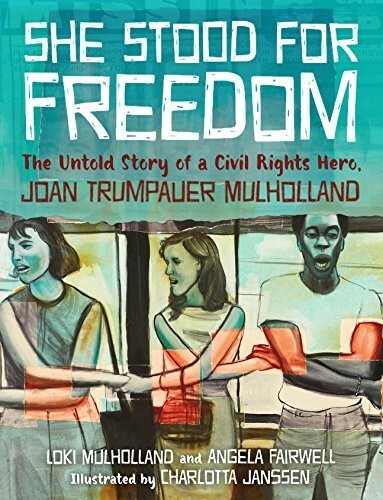 The picture book edition describes in an age-appropriate way how the America of Joan Trumpauer Mulholland's youth was torn by racial injustice. Through carefully crafted storytelling and the collage artwork of Charlotta Janssen, young readers will come to understand the struggle during the tumultuous era of the 1960s Civil Rights Movement. 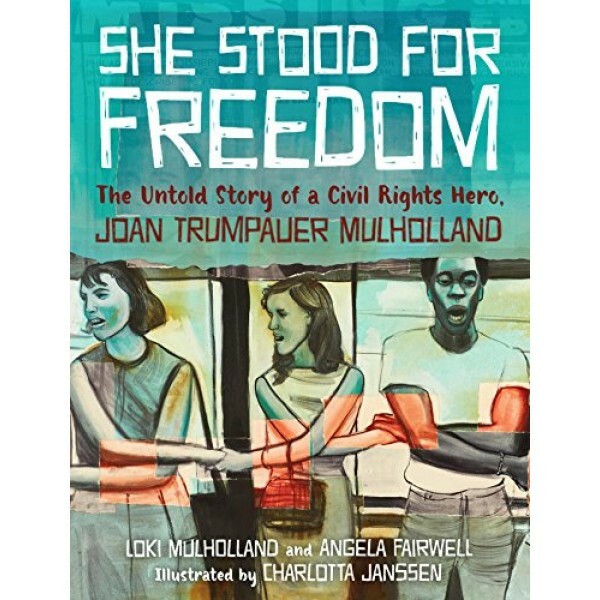 For the middle grade version of this biography, check out She Stood For Freedom (Middle Grade Edition).